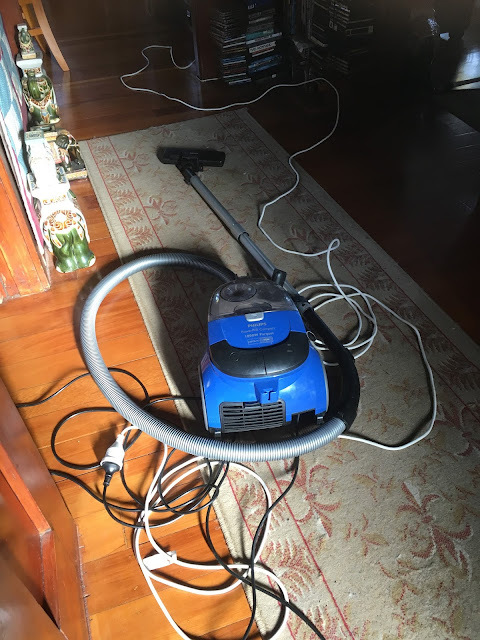 Don't worry, this photo of a vacuum cleaner isn't what I am referring to as my indulgence. It's the person who operates it, that is. I employ a cleaning company to come in monthly or as required, and to do a good deep clean of the house. For what I think is a very reasonable rate, they supply all the necessaries from cleaning products to mops, vacuums etc. Because I work very long hours at home, this is a wonderful indulgence so I at least get to enjoy the spare time that I have here at home.